Hitman 2 New Features - what's new to the franchise in Hitman 2? Hitman 2 builds on Io’s fine foundations crafted in Hitman 2016, adding six new locations, multiplayer, co-op and new Elusive Targets. But it’s not just a content drop - there have been a few mechanical changes too. Six new locations are available at launch in Hitman 2 as it moves away from the episodic release structure of its predecessor. Ranging from compact, single-house maps to huge urban sprawls, they’re designed to be replayed numerous times in order to complete every task and capitalise on every opportunity. Hitman 2’s multiplayer mode is a 1v1 battle which pits you against another human assassin on the same map and challenges you both to take down five targets undetected within a time limit. Whoever reaches five kills first wins. Throughout the match players can arm themselves by reaching Ghost Crates before their opponent, and although they can’t fight each other, the AI guards are just as alert here as they are in solo mode, so combat is a potential danger. If you die, you don’t lose any points, but you do respawn and have to make your way to the target again. In addition to competitive multiplayer, co-op’s introduced via Hitman 2’s sniper mission. When you team up with someone in this mode, you’re both aiming down your scopes on an Austrian villa to take down three targets and their bodyguards as quickly and quietly as possible. Two new characters, each with their own bullet speed and recoil values, add a bit of tactical nous to the mix. A host of subtle but meaningful improvements join the above features on Hitman 2’s spec sheet. The first is active mirrors, which means AI characters can now see you in mirrors and react accordingly. No more sneaking up behind someone, gun drawn, while they watch your reflection impassively, then. Picture-in-picture mode now shows you other events in the level without taking you out of the game. So when a body’s found, you’re able to see exactly where it happened. When you’re spotted by a camera, you see what the camera sees in the top-left corner of your screen. Picture-in-picture’s also used in a rather more novel way in the Mumbai mission as you line up your target for a fellow assassin to snipe. Also in the name of keeping you in the game and not disturbing your vision, the inventory screen’s been tweaked just slightly so that you can now cycle and equip items while still able to view the game world. A number of new voice actors lend their talents to the NPCs and hostiles, which means there’s much less overlapping of similar voices used for guards and friendlies. You can trust your ears more now, 47. And should you attract the attention of a hostile, you can use the new crowd-blending mechanic to find a quick hiding place in plain sight. New weapons feature throughout, such as the frozen fish (sure to become a streamer favourite) and a measuring tape. 47’s famous briefcase makes a return, offering a means of smuggling larger items like a sniper rifle into levels, and because Hitman 2’s levels are released all at once, Elusive Targets will be more evenly distributed across those locations. Hitman 2 introduces Ghosts mode and flips the traditional Hitman formula on its head, we explore exactly how this new game mode works in practice. 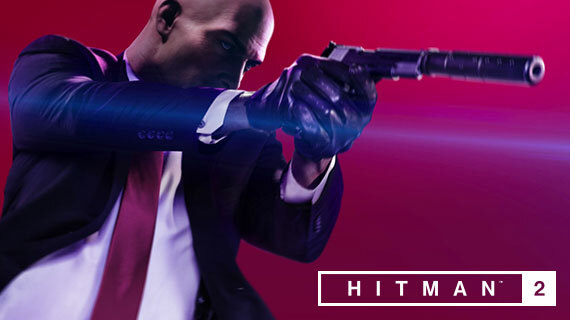 We got the chance to ask Eskil Mohl, Associate Game Director at IO, a couple of questions regarding the Hitman 2 launch.